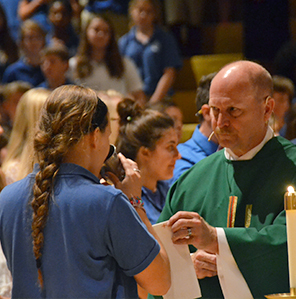 Bishop Chatard prepares its students for college now, heaven later. Academic excellence, supported by faith formation, creates a unique learning environment that nurtures development of the whole person. Develop your mind. Deepen your faith. Discover yourself. Bishop Chatard students are supported by over 50 years of history and tradition. 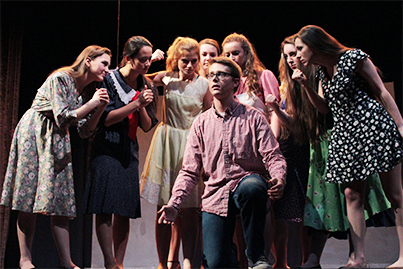 Committed to our role as the Archdiocese of Indianapolis North Deanery high school, it remains our mission to serve all students who seek a Catholic education. We achieve that by maintaining an inclusive learning environment that offers innovative programs – including almost 50 honors and AP & Dual Credit courses, along with a robust Academic Support Program – that narrow learning gaps. 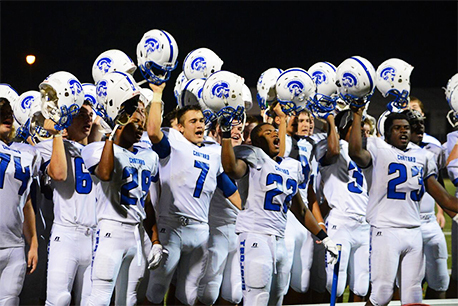 Bishop Chatard has a culture focused on faith formation and servant leadership that permeates everything we do. 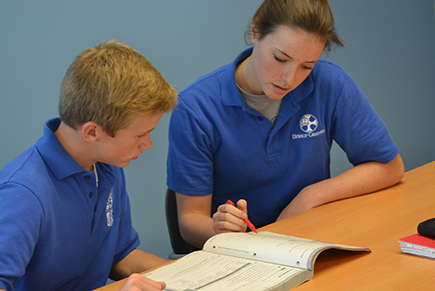 Bishop Chatard offers a challenging academic program, recognized as exceptional. Bishop Chatard fosters an inclusive athletic program encouraging all students to challenge themselves physically, as well as academically. 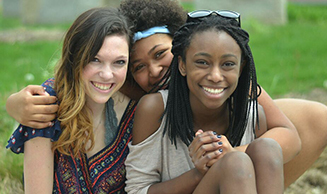 Bishop Chatard believes that each individual has infinite value and welcomes a diverse group of students, providing extracurricular activities that appeal to all. Bishop Chatard taught me the importance of being active in your faith and to not hide it. I have an active role to play in the world. I am not going to wait for change, instead, I will be the change. I'm going to be an engineer in a globally connected world. My faith will be challenged by opposing beliefs and my mind will be challenged intellectually as I go on to college. BCHS has given me tools to protect my faith and the intellect to do whatever I set my mind to. How do I apply to Bishop Chatard High School? All applications to Bishop Chatard High School are completed online. Please visit Bishop Chatard’s Enrollment webpage to apply. If you do not have access to a computer, please contact Marilynn Fagan, Director of Enrollment Management, at 317-251-1451, ext. 2234, to schedule an appointment to apply. Once a family submits a completed application (including all supplementary paperwork) the application file is reviewed by the admissions committee. All applicants are notified of their application status via U.S. mail. What if I live outside of the Archdiocese of Indianapolis North Deanery? Bishop Chatard High School is the high school of the Archdiocese of Indianapolis North Deanery, and enrollment numbers indicate that we are the top high school preference of families in the deanery. However, our student body represents a number of public and private middle schools. To the extent that our resources allow, we welcome all students who seek a Catholic education. How do I set up a shadow date? Students can sign up for a shadow day online. Parents can visit the school during our Wednesday Walk-Thrus. Please visit our shadowing information page to sign up and to learn more. What score does a student need to get on the High School Placement Test (HSPT) in order to be admitted to Bishop Chatard? Bishop Chatard does not use the HSPT as an entrance exam. We use the test as a measuring tool, one of many tools, to determine what classes a student should take if they were to be accepted to, and attend, BCHS. Therefore, there is no specific score or range of scores that is required. As a Catholic school, we believe that all students deserve an excellent Bishop Chatard education regardless of what they score on a test. Does Bishop Chatard have a multi-child discount? Does Bishop Chatard have an Academic Support program? Yes! Bishop Chatard has an excellent Academic Support program. Please visit our academic support page for more information. How many AP and Dual Credit classes does Bishop Chatard offer? Bishop Chatard offers 21 AP classes and 5 Dual Credit classes. These courses are available to all grade levels. Visit our academics page for more information about our academic program. Does BCHS have a college counselor? Yes! Pam Nixon, Bishop Chatard’s college counselor, works closely with students to explore college options and opportunities, provide information on careers and scholarships, and assist students with the college application process. More information is available on our School Counseling page. Does BCHS offer financial aid? Yes! Bishop Chatard is committed to assisting any student who desires and is committed to a Bishop Chatard educational experience. All financial aid available at BCHS is based on NEED as determined by an independent service or criteria set by the state or granting organization.